Typically, scientists investigate the effects that a single stress factor has on an organism. Researchers at the Max Planck Institute for Evolutionary Biology in Plön and the Universities of Helsinki and Jyväskylä, Finland, have now investigated the question of how microorganisms behave when they are confronted with more than one stress factor. "We simulated natural environmental conditions in the lab and exposed bacteria to both predators and antibiotics. This allows us to estimate how likely it is to find evolution of resistance to antibiotics outdoors," explains study leader Lutz Becks. 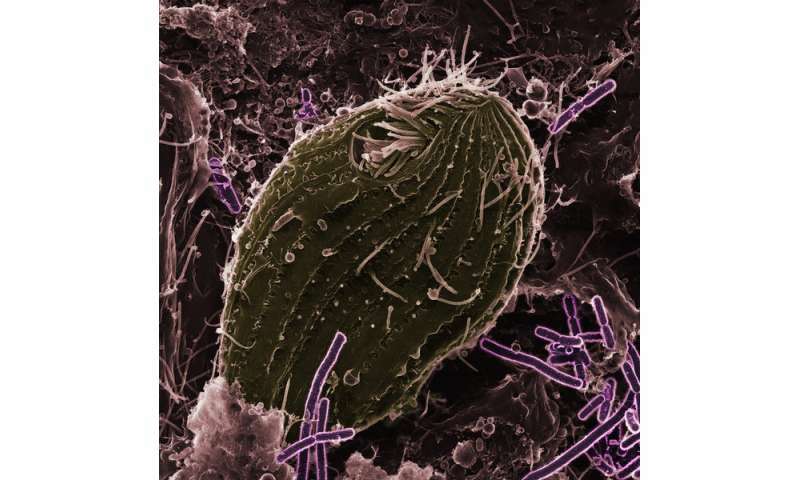 In the scientists' laboratory, the bacterium Pseudomonas fluorescence had to cope with both antibiotics and the predatory single-cell organism Tetrahymena thermophila. 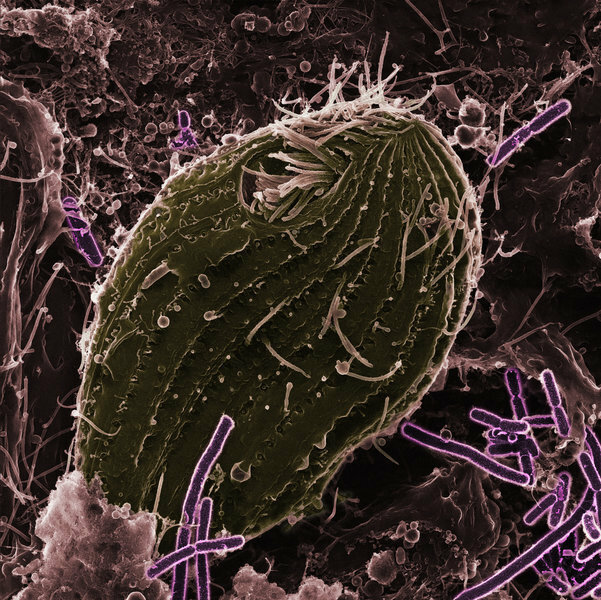 After just a short time, the team of researchers noticed that the bacterial population was changing: the bacteria were much slower and less effective in developing resistance and protecting themselves from being consumed than others of the species that were only exposed to one of these factors. Moreover, resistance against the antibiotic was much less common. "The bacteria were clearly unable to optimize both attributes at the same time," says Becks. In the next step, the scientists analysed the genetic basis of these adaptations. Their results show that mutations for improved protection from predators appear in the same numbers and at the same places in the bacterial genome if only the predatory ciliates are present. The same applies to mutations that cause resistance to antibiotics. However, other mutations occur as soon as both stress factors influence the bacteria and the bacteria have to fight both predators and antibiotics. This causes both the bacteria's protection against predators and resistance to antibiotics to evolve more slowly and be less efficient. "Microbial populations – whether in a lake or in the gut – are complex communities in which many species have to compete for resources. The various stress factors to which microbes are exposed have an enormous effect on their evolution and survival rate. It will take some time until we fully understand the interaction of all these factors and the influence of antibiotics and pesticides," explains Becks.